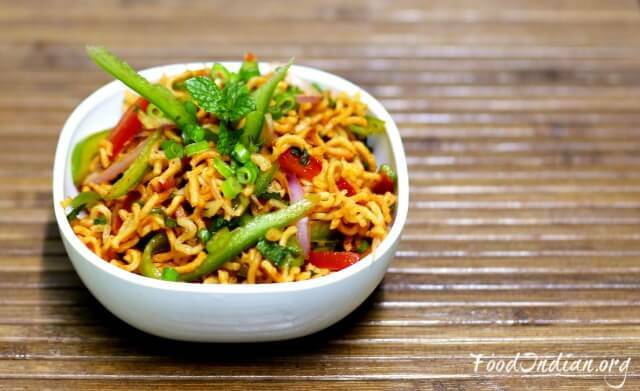 For your next house party, make this Crispy Noodles Salad and serve with barbecue or kababs, your guests will surely ask for the recipe. 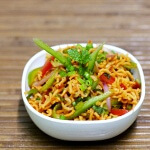 Its an Asian salad and have some delicious Chinese flavour combined with healthy vegetables and yummy crispy noodles. 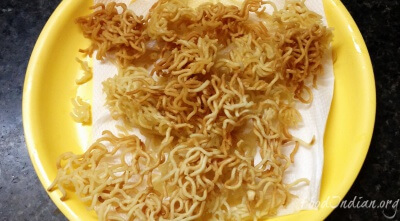 Your kids will also love this new version of noodles. 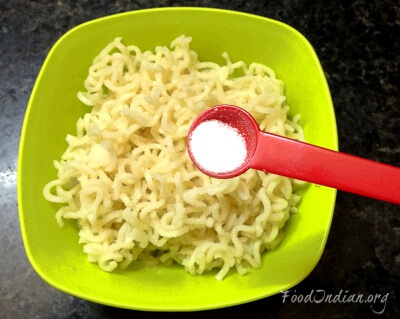 Add some salt in the boiled noodles and deep-fry them in hot oil. 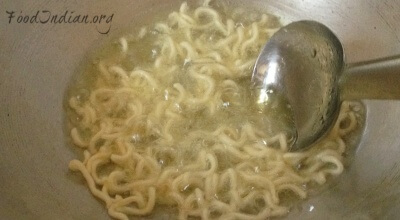 Drain on absorbent paper and keep aside. 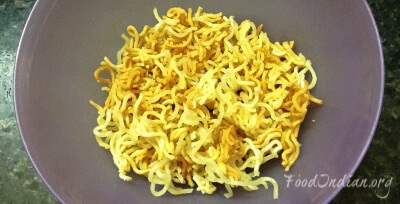 Now start crushing the fried noodles into a bowl. 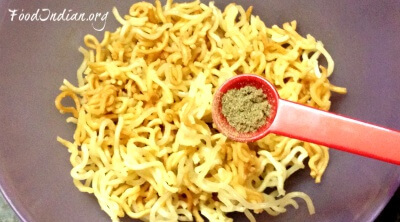 Add Pepper powder and mix with the crispy noodles. 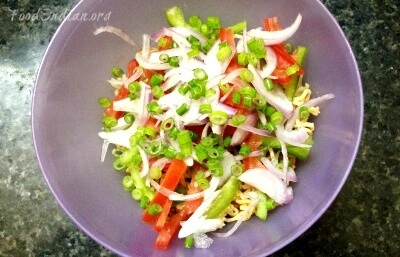 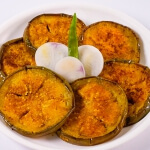 One by one add all the vegetables, sliced onion, capsicum, tomato slices and chopped spring onion and give a good mix. 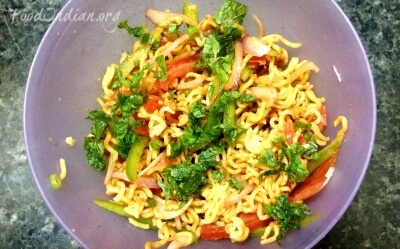 Then add Red chilli sauce and green chilli sauce and mix with the noodles very well. 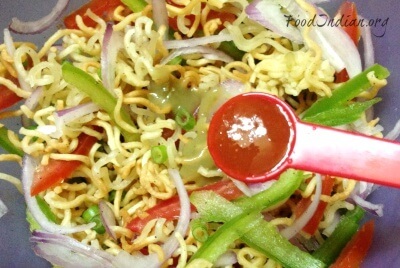 This sauce will add more flavour and spicy touch to your salad. 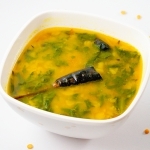 Add some salt and chopped mint leaves and mix with all the ingredients. 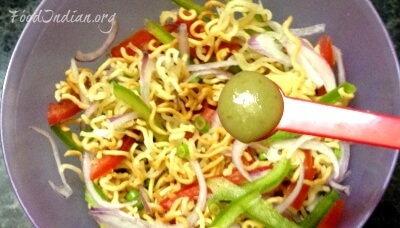 Serve this salad immediately after making. 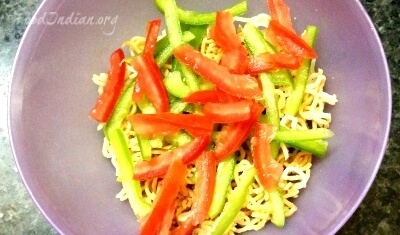 You can fry and keep the noodles into an air tight container and use them while you are making the salad .